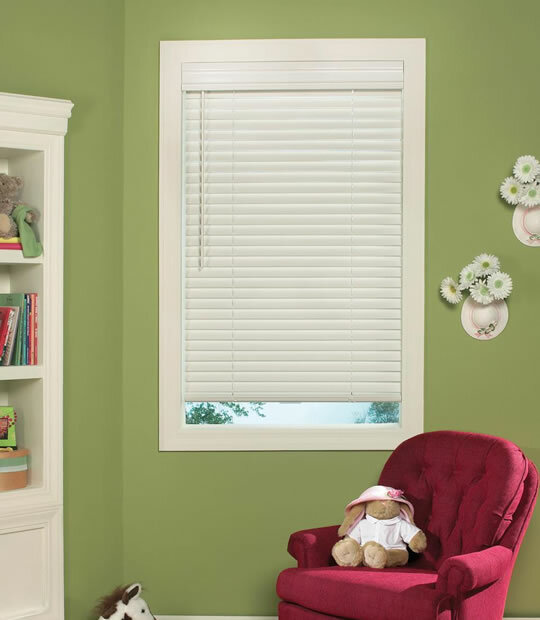 Faux Wood Blinds 2 & 2-1/2" from Norman give you the best close and lift system along with no hole privacy than any other faux wood blind in the market today. 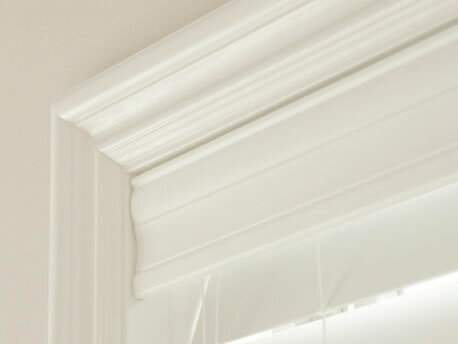 Due to the wider slats and bigger valance you get an elegant look along with a wider view to the outdoors. 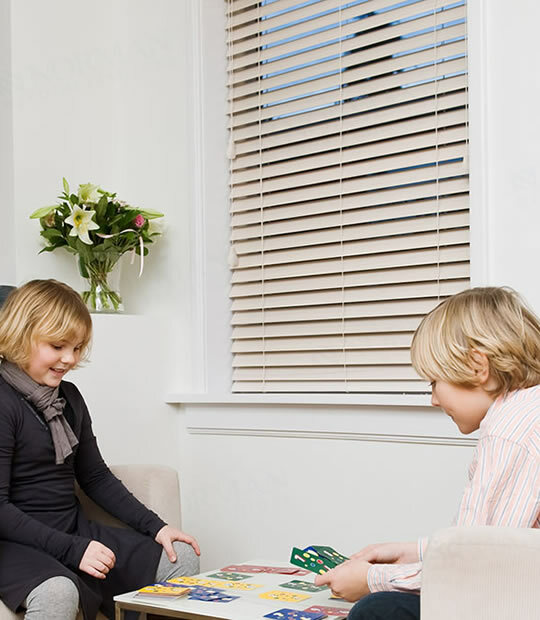 Norman's SmartPrivacy™ design creates a tighter blind closure, which reduces light leakage between slats. 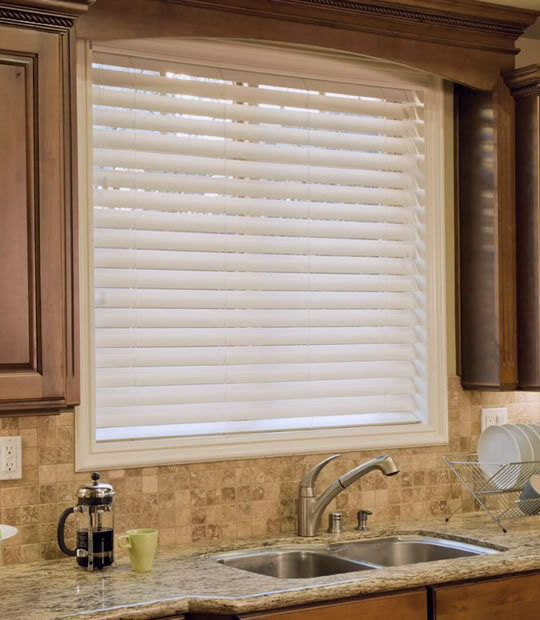 When you open the blinds, the wider 2-1/2" slats gives you a wider and more elegant look and view to the outdoors with less visual interruption to your view of the outdoors. 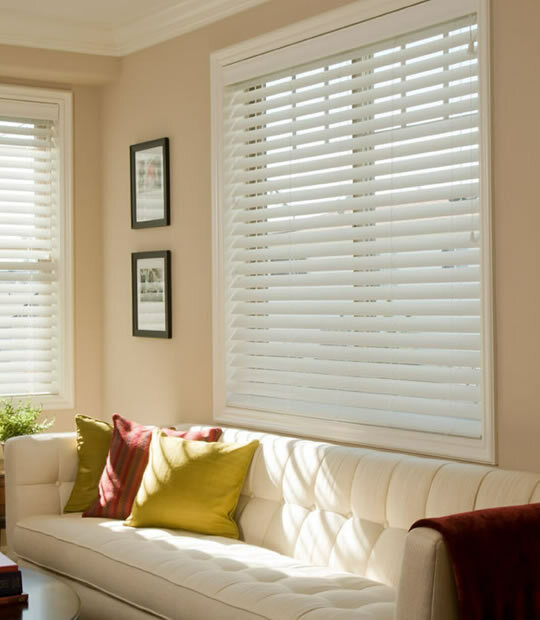 Like all Norman products, Faux Wood Blinds 2 & 2-1/2" reflect Norman's dedication to detail and high-quality workmanship. They offer durability and warp-resistance and are an optimal choice for humid conditions, such as those found in kitchens, bathrooms and garages. These faux wood blinds can be used in any room, with the look of real wood for a more affordable price. Semi-inside mount valance return: 3/4"
Outside mount valance return: 3-9/16"